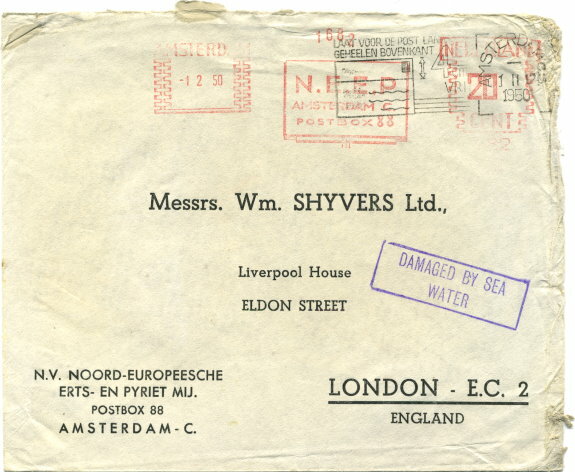 This envelope was posted in Amsterdam on 1st February 1950 addressed to London. It was carried on a KLM Dakota PH-TEU out of Schiphol and headed for England. Just off the coast, the plane caught fire and crashed into the sea. A two-line boxed cachet was applied in violet: “DAMAGED BY SEA / WATER”.